Serious game. 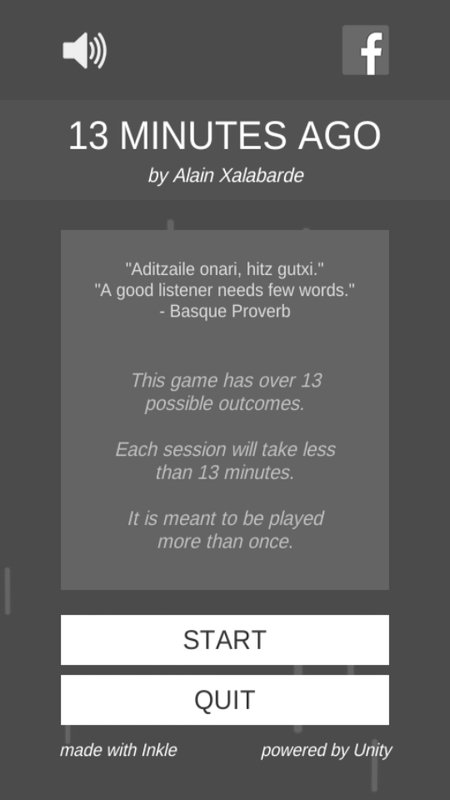 Text-based adventure. Minimalist art style. Winner of Silver Medal at Serious Play Conference. 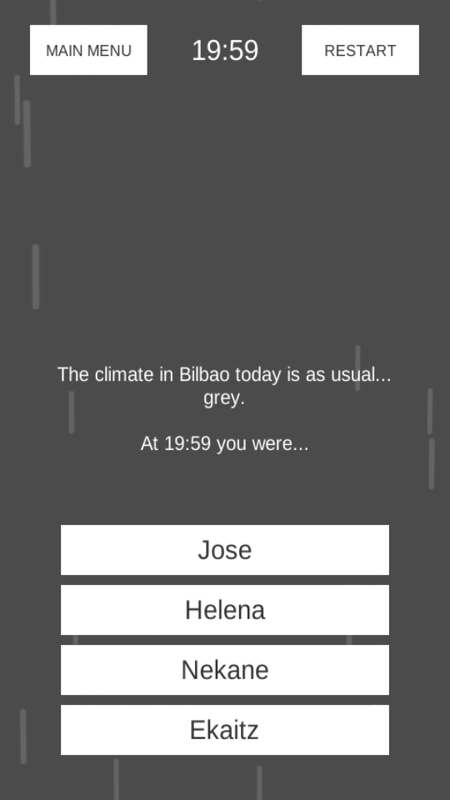 An interactive story with over 13 different endings, dealing with the harsh reality of Basque terrorism. The first session of the game may be played in less than 13 minutes, although one can only experience each minute of the story through the eyes of one character. 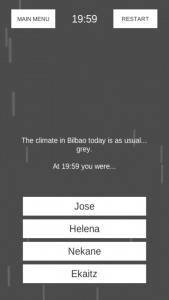 Players are therefore encouraged to replay in order to explore different characters, try out different decisions and discover all the alternative plots. 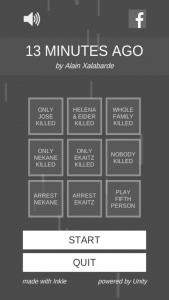 It was developed on Unity, making use of Inkle – used in other iconic games like “80 Days”. 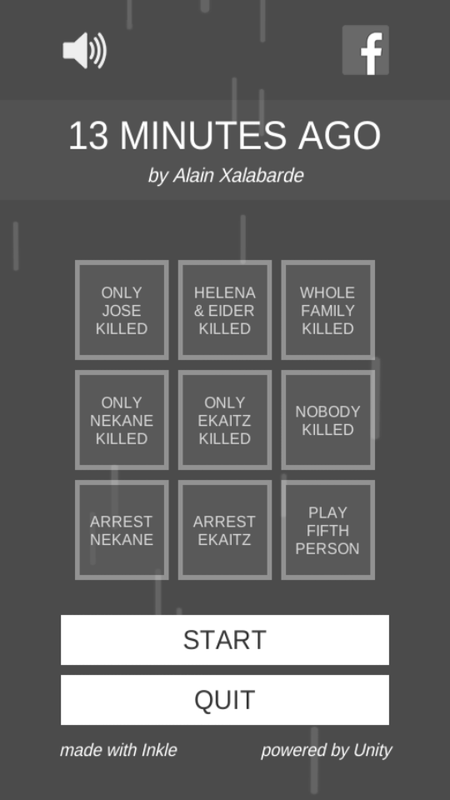 Alain used this project to push the limits of Inkle and creating a story with fragmented branches.